As every employment attorney knows, an employer cannot discriminate against, fire, or in any way retaliate against an employee who files for workers compensation. If you have faced problems at work because Accidents are a part of life, and they infiltrate every aspect of our daily lives. There are accidents at home, accidents on the road, and even in the workplace. The employer is required by law to provide a safe work environment for every employee. There are certain regulations which tell the employer what safety procedures they must take in order to comply with safety regulations for their industry. The safety regulations for a paper company are vastly different than for a nuclear power plant, but safety regulations exist for both regardless, and the employer is required to comply. If they do not comply, they could face legal action from an employee and government agency. Can I Be Fired After Filing a Workers’ Compensation Claim? Even if your employer does everything in their power to make the workplace as safe as possible: meaning they comply with regulations, and for example, put the important signs, provide the right safety equipment, and give all the necessary training, an accident is still bound to occur. Accidents by their very nature are innately unpredictable and can happen to anyone at any time. If an employee gets injured on the job, the employer is often found liable and can face legal action. But there exists an insurance program called “Workers’ Compensation” which offers the employer certain protections providing they provide the employee certain protections as well, such as lost wages and paying medical bills as well as physical therapy (if required). But while many employers offer workers’ compensation, not all employers enjoy meeting their end of the deal and oftentimes want to dismiss that employee for filing such a claim. If this seems unjust and unlawful, somehow, that’s because it is. Many states, including the state of California, have laws which prohibit the employer from terminating a worker. If you were injured at work and filed a workers’ compensation claim and were then terminated from your position, you may have the grounds to file a lawsuit against your employer. At the California Labor Law Employment Attorneys Group, we help people in your situation and represent them to give them the necessary damages which they are owed. We are asked questions regarding workers’ comp and employees’ rights every single day. Can you lose your job while on workers comp? Can you get fired if you get hurt on the job? My boss fired me in retaliation for my worker’s comp claim. Can he legally do that? What are my rights? Can my employer terminate me while on workers compensation? I was fired after a workers’ compensation claim. Can I sue my employer? Can I be fired while out on workers comp? Who is the best workers compensation retaliation lawyer? I was fired for after workers compensation settlement. How do I file a lawsuit? No matter the insurance policy, policy premium rates are bound to increase after every reported accident. The reason makes sense: in the eyes of the insurance company, you are seen as a higher-risk client to insurance because you have already had one accident and are a higher liability to insure. Employers who face higher insurance costs after a workers’ compensation claim may want to retaliate against the employee responsible for their extra expense. It is against the law for employers to act against an employee just because the worker filed a workers’ compensation claim for their injuries against the employer. Under the Labor Code 132a, “there should not be discrimination against workers who are injured in the course and scope of their employment.” The courts of California have interpreted this law to include discrimination against employees for filing a workers’ compensation claim. Is allocated a workers’ compensation award. The courts have also ruled that it is against the law for an employer to fire an employee because of a work-related injury. If that work-related injury results in a permanent injury, the employer cannot dismiss you simply because of your disability, as you are protected under the Americans with Disabilities Act (ADA). The injury you receive might be severe and temporarily disable you. The extent of the injury an employee receives may require physical therapy or other rehabilitative services. An employer cannot retaliate against their employee for participating in such activities. In addition to those rules, an employer is also prohibited from dismissing, or threaten to discharge, an employee who has agreed to testify on behalf of their coworker’s workers’ compensation claim. So if your fellow colleague has been asked to testify on your behalf, and tell the courts exactly what happened in order to strengthen your workers’ comp claim, your employer cannot terminate nor threaten to terminate your coworker. Termination is not the only form of retaliation that exists. To avoid any wrongful termination suits, your employer may want to get creative with their form of retaliation. California law prohibits employers from punishing their employees for getting injured or ill on the job or for filing for workers’ compensation benefits because of that injury. It is considered unlawful when an employer to discriminate or retaliate (penalize) against an employee or makes things difficult/detrimental for the employee that received the injuries in question and filed for workers’ comp. So for example, let’s say an employee as injured and received the full benefits of their workers’ compensation, and the employer did not terminate them. Before the injury, this employee was being considered for a promotion and a raise to go with it. Upon returning to work, the employee finds out that he or she is no longer in consideration for the promotion. While it is true the employer has not terminated the employee; the employer has still penalized them for filing for workers’ compensation and its benefits. The employer has acted unlawfully. But not every act the employer takes is considered unlawful or retaliatory. If every other injured employee has been subject to the same procedural sentence, the employer has acted within the law. For example, employers are allowed to require the injured employee to take time off as long as other disabled employees in the company’s past have been required to do the same and injuries are not work-related. When I Come Back From My Injury, Do I Have to Be Reinstated? As with most complex issues, there is not a simple Yes or No to this question – it depends entirely on a case by case issue. 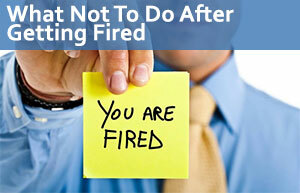 If your employer refuses to assign you your previous position, your employer may, in essence, be firing you. But there are certain circumstances in which your employer can refuse to reinstate you to your previous job and also be acting within the law. An employer is not required to reinstate an employee if the employee has received permanent disability and can no longer fulfill the essential job functions. For example, a construction worker who has lost both arms and legs may not be very useful on the construction site, and so an employer has the right not to reinstate that employee to their previous position because they can no longer perform the necessary job functions of a construction worker. But a permanent disability does not grant the employer to dismiss an employee. If the employee can still perform the essential job function, the employer may have to reinstate the employee and give reasonable accommodation to ensure that the essentials can be fulfilled. For example, a writer who loses motor function of their legs can still use their hands. An employer may be obligated to install wheelchair-friendly equipment to ensure the employee can still perform their job well. It’s a sad truth, but automata specialization and learning is increasing at an alarming rate. Machines have been increasing productivity for eons and are slowly pushing humans out of work. California law does not prohibit an employer from not reinstating their employee to their old position if that position is no longer necessary. So if you return from work and find that a robot has taken your position, there may not be many options for you. Often, however, an employer may falsely claim that work is unavailable or too dangerous for you, the injured employee. If this is the case, the employer has acted unlawfully. – Can My Boss Demote Me Because I Filed a Workers’ Compensation Claim? Our experienced Los Angeles employment attorneys are happy to offer free consultations to all people who have encountered problem at the workplace. We take cases across the entire state of California – whether you are in Los Angeles, San Francisco, San Diego, or anywhere else, you can take advantage of our legal services. To receive your free case review, simply call or email us. We at the Employee Legal Justice Group are here to defend your rights. In an effort to help as many people as possible, we have made it policy to never charge any fees upfront. We will collect our fees only if we get you a successful recovery. If we don’t win, you will owe us nothing. – Can My Boss Demote Me Because I Filed a Workers Compensation Claim?